The discovery of bones from picky rodents where none were expected has led Israeli archaeologists to conclude that the early Byzantines extensively farmed the Negev desert over 1,500 years ago. Given that the rocky desert would not have much more hospitable than it is now, and based on the piles of rodent bones, the archaeologists believe the ancient Byzantines had become masters of water harvesting. The rodent in question is the jird – a gerbil lookalike up to 15 centimeters (6 inches) in length that jumps a lot and, more to the point, is finicky. It likes to eat green leaves, not parched thorns. 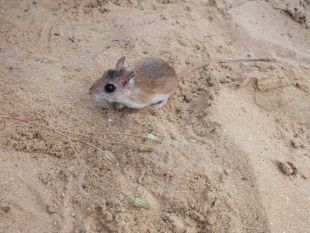 Though found around the Middle East and beyond, the jird prefers comfortable, humid climatic conditions, not scrubby desert. If you see a rodent hopping around arid sandy wastes, its probably a gerbil. Like me, the jird is spoiled, laughs the University of Haifas Prof. Guy Bar-Oz, head of a large team investigating why Byzantine civilization in the Negev collapsed in the sixth century. 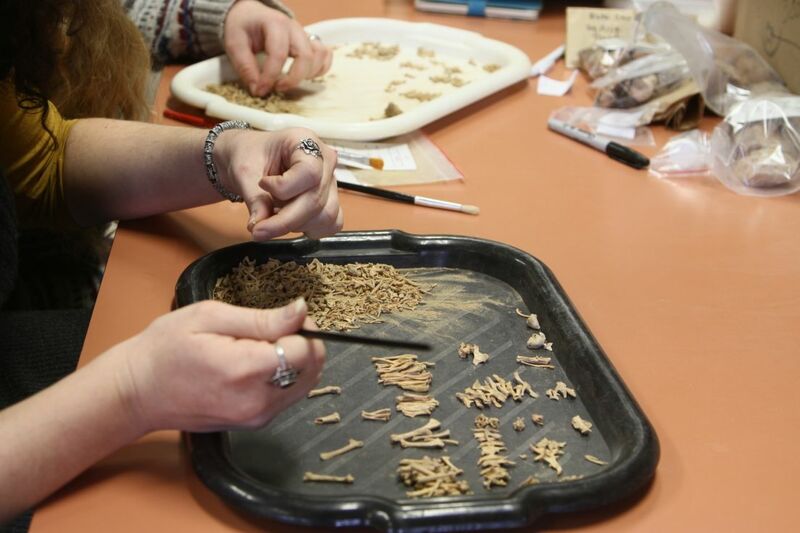 So the discovery of jird bones in the Byzantine settlement in the heart of the desert indicates that the early Christians created comfortable conditions and managed to grow ample food. Otherwise the jird would not have arrived and thrived. The jirds presence is a bioindicator of agriculture, Bar-Oz explains. Byzantine agriculture had become so advanced that it changed the distribution of species in the desert. Lying east of the Sahara, the Negev is at the edge of the Sahel desert belt. Rainfall can vary a lot by region within the desert, ranging from less than 50 millimeters a year to around 300. The ground is rocky and the little soil found there is impervious loess, which isnt particularly hospitable either. Yet during the heyday of the early Christian Byzantine era, in the fourth and fifth centuries, the Negev was populated and even had major cities (by the standards of the time): Elusa (aka Haluza) and Beer Sheva. The 1,500-year-old Madaba Map floor mosaic in Jordan shows Aelia Capitolina – which the Romans built on the ruins of Jerusalem – and Elusa. But why would the Negev have been populated at all? Because the Byzantine era in the Holy Land had evidently been a prosperous one, Bar-Oz told Haaretz. 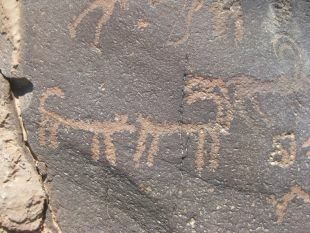 As the population burgeoned, it spread, as growing populations do, to marginal areas like the desert wasteland. 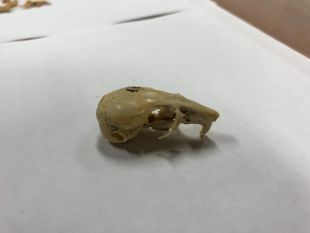 Now, the discovery of jird bones, found inside ancient dove cotes maintained by these farming communities, indicates that a farming culture managed not only to eke out a living, which we knew from the previous discovery of ancient terraces and water storage facilities, but to thrive there. Doves, by the way, have been hugely popular in the Middle East for millennia: they were eaten, sacrificed to the gods, and cotes would be built in the middle of farms because their guano is great fertilizer. 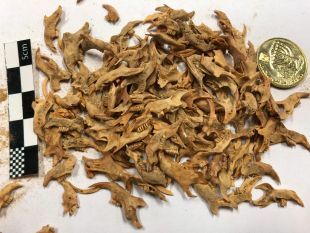 It also bears mention that, along with the jird bones, the researchers found a lot of gerbil remains – but that was expected. Its the pampered rodents who werent. Data from Soreq, near Beit Shemesh, and geological evidence regarding the Dead Seas water level back then indicates that the local climate was a little wetter than now, Bar-Oz says. The find of the jird bones is the first direct biological indication regarding the climate in the Negev itself 1,500 years ago, he explains. 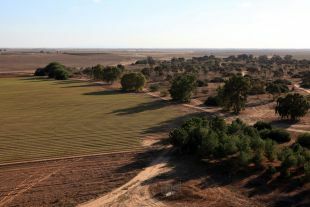 Rainfall in the Negev wouldnt have increased from 100 millimeters a year on average to 400. Maybe to 150. Possibly, in the desert, it wasnt that there was more rain altogether, but possibly it was more reliable, he says. There are no natural springs in the Negev and digging wells would have been pointless, he says: the aquifer is too deep to tap. So like even more ancient peoples in Jordans Black Desert and in Israel itself, the Byzantines in the Negev became masters of water harvesting, building dams in the wadis and terraces (whose remains have been found). They also built water storage facilities in their towns. Why Byzantine civilization in the Negev collapsed is not known. Sometimes it rains, sometimes it doesnt. The ancient agriculture in the Negev would have had to be sustained by a central government (as it is today), Bar-Oz suggests. 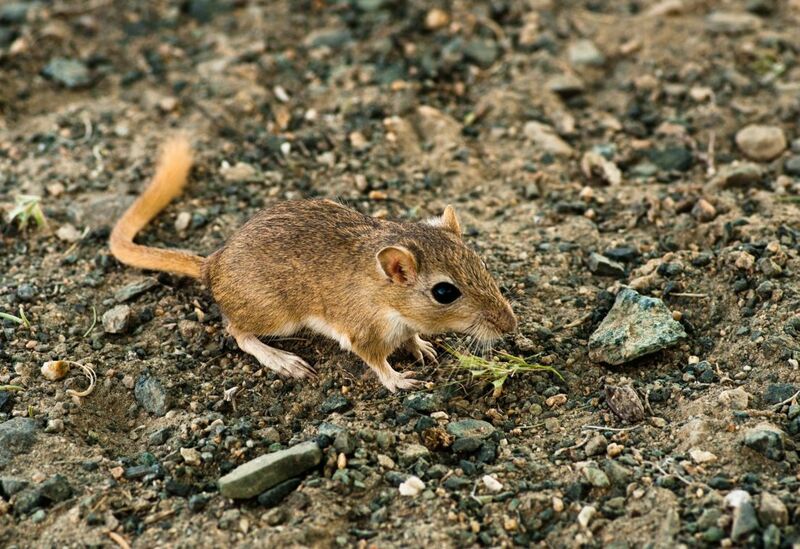 The jird remains indicate that the climate may have been a little better, for a while at least. Perhaps the locals were brought low by disease or climate change for the worse – leaving the stony wastes to the gerbils, which do like their fresh fruit, but can survive perfectly well in the inhospitable land. 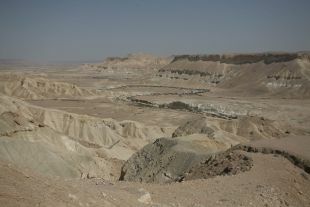 After the Byzantine collapse, the Negev would be abandoned by farmers and jirds for the next 1,500 years. Agriculture would only resume at the urging of Israels first prime minister, David Ben-Gurion, who had a dream of making the desert bloom. And the jirds are back, too. The research is being conducted by grad student Tal Fried with Dr. Lior Weissbrod, Dr. Yotam Tepper and Bar-Oz from the University of Haifa.